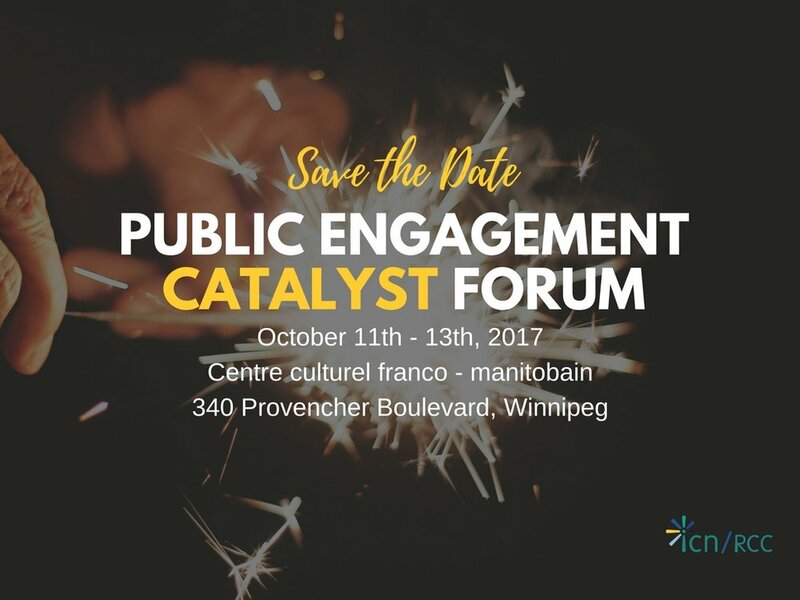 Join fellow people interested or actively engaged in public or community engagement from across the country this autumn at the Inter-Council Network (ICN) Public Engagement Catalyst Forum, a bilingual national forum. See more here: http://bit.ly/2vcP3no. As a participant, what can I expect from the forum? This does not include admission to the Exclusive Tour of the Canadian Museum of Human Rights - an optional event on the evening of Thursday October 12th. $20 Regular Admission to Exclusive Tour of the Canadian Museum of Human Rights - Thursday October 12th. This event is exclusive to Forum Registrants, but is optional. It will feature a tour by a Program Officer at the CMHR who demonstrate how the CMHR has applied a human-rights based approach to their public engagement, as well as successes and challenges that they have faced in their efforts. Register here for this fantastic opportunity!